The second largest global ophthalmic conference - the 35th Congress of the European society of cataracts and refractive surgeons (ESCRS) was held in Lisbon, Portugal, October 7-11, 2017. 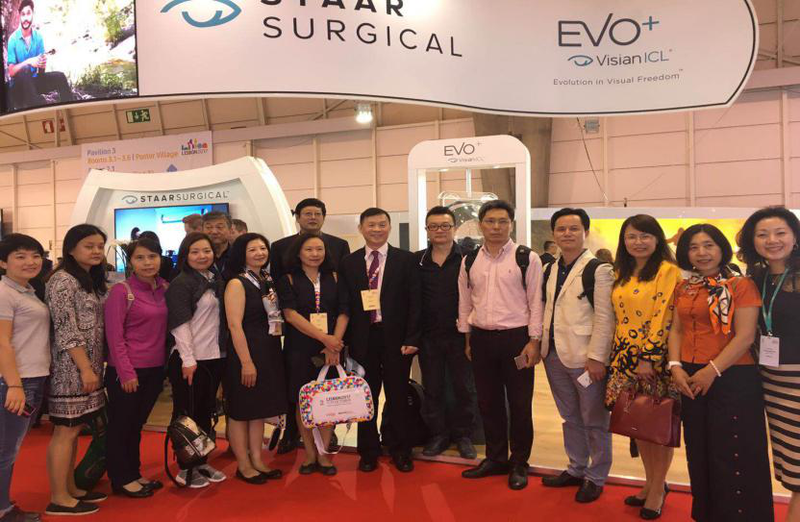 The conference converged ophthalmologists from 122 countries and regions, with 9840 delegates. 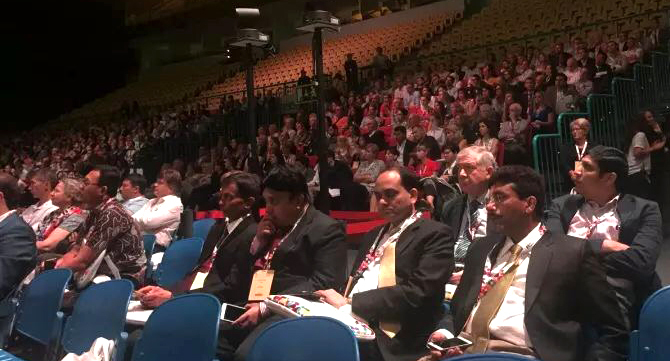 More than 150 experts from AIER Eye Hospital Group, the world's largest eye care provider, had been invited to play an important part at the congress. Founded in 1991, ESCRS is Europe’s leading organization for cataract and refractive surgeons and is at the forefront of eye care industry. ESCRS has over 7,500 members from 130 countries world-wide which offers a professional platform for ophthalmologists to exchange the most recent medical achievements. The congress has nearly 200 theory courses, practical skills training courses and 492 oral presentations and 1257 posters in which the most advanced technology and the latest diagnosis and treatment methods in the field of cataract and refractive operation were presented to delegates. Since 2015, AIER has been an active force at ESCRS, and this year along it got even stronger with more than 150 people attended. On top of past successes at ESCRS, AIER added more international elements this year and the sheer scale and quality AIER presented makes it an important partner of ESCRS. According to Mr. Marcos Bueso, the General Manager of Clinica Baviera, AIER Europe: more than 100 delegates from AIER China and around 50 doctors from AIER Europe attended the congress, many of them presented their clinical and research works presentations. Clinica Baviera is the biggest player in Europe in eye care with the biggest volume of refractive and IOL operation. In addition, Clinica Baviera has reinforced medical teams with highly experienced doctors in other specialties such as Retina, Glaucoma, Strabismus and Oculoplastic, enabling it to provide more professional, efficient and better services for patients in Europe and beyond. With its outstanding contribution to the field of myopia, AIER has won several heavyweight awards. Its technology, professional doctors and service quality have been recognized on the international stage again. Professor Zheng Wang, the State Council Special Allowance Expert, PhD supervisor of AIER School of Ophthalmology, CSU ·Central South University and the director of AIER Eye Hospital of Guangdong province, chief drafter of the “National Nyopia cCorrective Operation Quality Standards”, won the "EVO Visian ICL 500 Award". Xuejun Fang, the master's supervisor of AIER School of Ophthalmology, CSU ·Central South University and the director of the Shenyang AIER Eye Hospital, won the "EVO Visian ICL 3000 Award"
Qi-zhi Zhou, deputy head of the refractive operation group of Ophthalmology Association of Chongqing, AIER ophthalmology group refractive operation trainer and examiner, master supervisor of AIER School of Ophthalmology, CSU·Central South University, the director of Shenyang AIER Eye Hospital, won the "Toric EVO Visian ICL 3000 Award". Ms. Jin Zhou, China ICL operation doctor trainer, world No.1 surgeon by volume of high myopia TICL operation, member of the ophthalmology branch of Rehabilitation Medicine Association of Sichuan province and the director of Chengdu AIER East Eye Hospital, won the "Toric EVO ICL allow 3000". Zheng Wang, Xue-jun Fang, Qi-zhi Zhou and Jin Zhou all won the "Chinese Low Refractive Study". 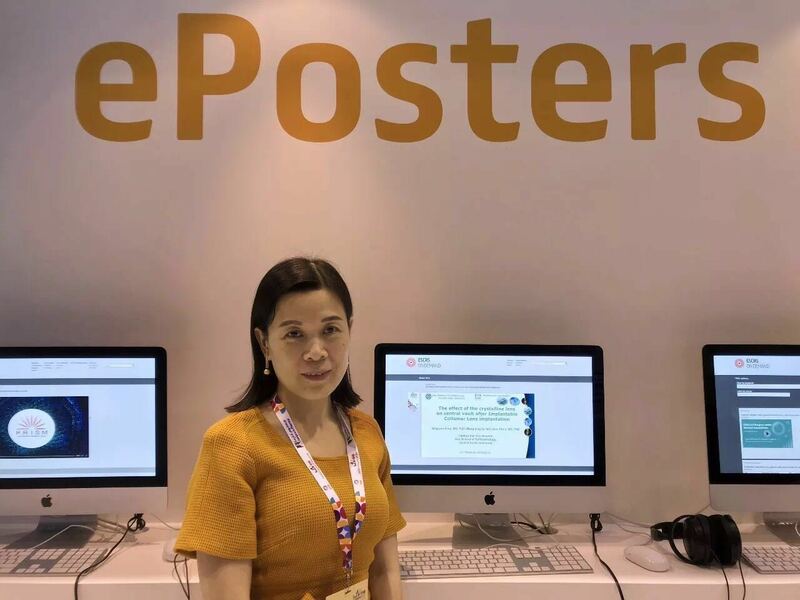 At this year’s ESCRS, the academic sharing of AIER’s specialist team have received much attention. 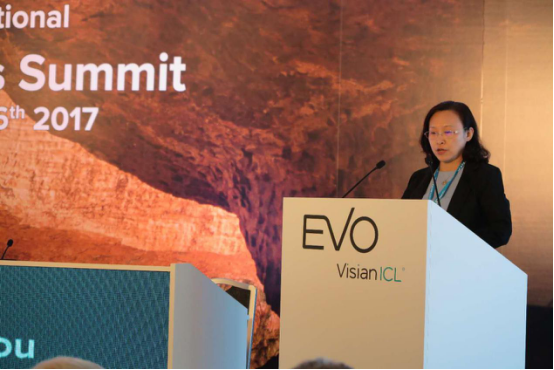 Dr. Jin Zhou, the director of Chengdu AIER East Eye Hospital, delivered a speech titled "EVO Visian ICL vs SMILE in low-to-low moderate diopter- a comparative study". Dr. Jihong Zhou, director of the Beijing AIER-intech Eye Hospital, gave a speech with the topic of "Cox Proportional Hazards Model of Myopic Regression for LASEK and LASIK flap making with Mechanical laser in low and moderate myopia". 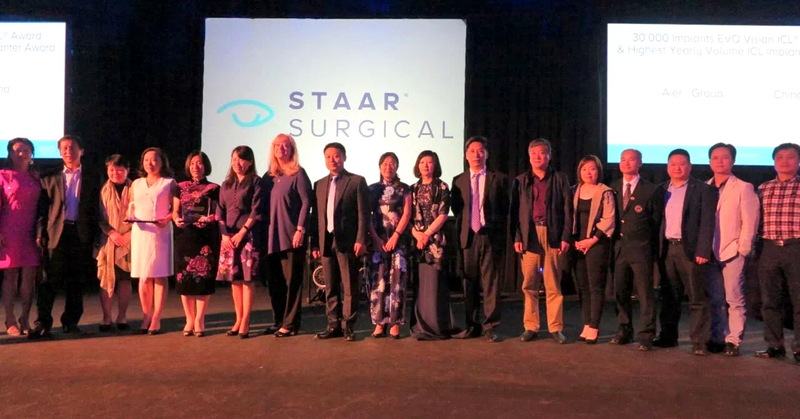 Dr. Qing-yan Zeng, a master supervisor of AIER School of Ophthalmology, CSU and the dean of the Hankou AIER Eye Hospital, has made important progress in corneal crosslinking. At the congress, she delivered three important presentations. Besides, around 20 doctors from AIER European also presented their recent advances at the congress.